Rogelio Sosa (Mexico City, 1977) is a sound artist, composer and curator of sound art and experimental music. 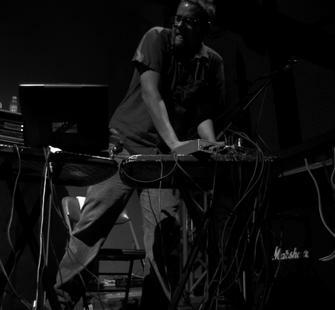 He began his studies in computer music at the Ateliers Upic in Paris and attended the Composition and Computer Music Course at the IRCAM from 2000 to 2001. In 2002 he pursued a masters degree at the Paris 8 University.Since 2004 he lives in Mexico City and he is director of the Radar Festival.He has presented his work in Argentina, Belgium, Canada, Chili, Cuba, France, Germany, Hungary, Italy, Mexico, The Netherlands, Peru and the United States.Sosa has been awarded by the National Fund for the Arts, FONCA (Mexico) in five occasions, and has received various prizes and distinctions such as SCRIME Electroacoustic Music Prize, the National Youth Award for the Arts in Mexico, the IMEB Electroacoustic Music Contest, the Nuevas Resonancias Award, the Russolo Electroacoustic Music Contest, the EAR Electroacoustic Music Contest, and the Visiones Sonoras Prize.